Now you can use the electrical outlets hidden behind desks, couches, bookshelves and more with one of these rotating plug extension cords. The plug extends half an inch from the wall, and bends at a 90-degree angle so that it doesn't poke into adjacent objects. 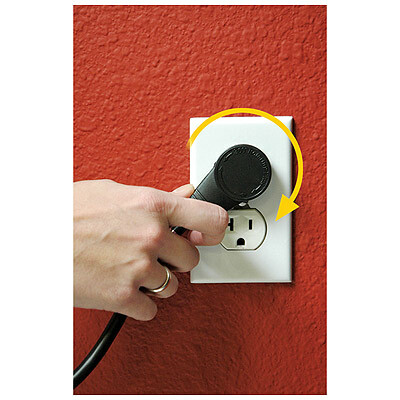 The prongs rotate in the plug, so you can aim the cord in any direction. Pros: With the rotating plug, it has unlimited uses and diversity. 358 out of 733 find this review helpful.